You Are Not Alone | Happy and Healthy Kate! I have been on an amazing roll as far as portion control and exercise, I can honestly say I am very proud of myself! I’ve tried all the crazy machines at the gym to try and switch things up, but I will always end up on the elliptical. 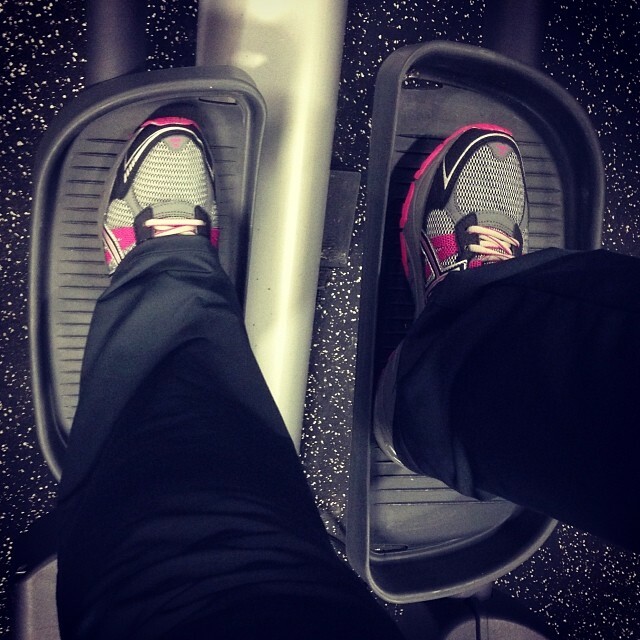 The elliptical runner burns major calories and it’s heaven on your joints while feeling natural to my running gate. If I can’t get to the gym, I do yoga or Pilates at home or if it’s above 30 degrees out I’ll go for a walk outside. I am in the beast zone! If I don’t get at least 30 minutes of cardio, I feel off. Naturally I am worried about my addictive behavior and exercise becoming an obsession as I attain the endorphin “high”. I also fear falling off the wagon as my social and work schedule pick up. The thing that keeps me hanging on is that I am not alone. Knowing that there are others out there who don’t have time to spend hours working out at home or at the gym puts my mind at ease. It’s been refreshing to learn about others who may fall off the wagon with their portion control as well, but are encouraged and supported to get back on. I am one of many who struggles with knowing when enough is enough. Having a clean slate mindset has helped me stop beating myself up for losing control once in a while, and start fresh the next day. When others confess to me that they overindulged, I’m the first one to not make a big deal out of it. No judgement zone here! You are not a horrible person for losing control. Knowing you overdid it is the first step to getting back on track, but you must want to get on that healthy track or it can just become a vicious unhealthy cycle. But always know, you are not alone and tomorrow is a new day! Posted in Bad Days, Exercise, Food, inspiration, SmartOnes, struggles, Wellness Journey Update and tagged clean slate, elliptical, gym, health, mistakes, not alone, portion control, routine, start over, struggle, workout. Bookmark the permalink. I am passionate about vegetarianism, exercise and movement, yoga, cats, media, meditation, abandoned locations, and libraries. Nutrition + Groupon = A New Goal! Busy Day? It’s OK to Stray! In the spirit of full-disclosure, I’ve partnered with the Smart Ones brand and received compensation for my participation. However, all opinions given here are fully my own.